The Saint John’s Bible is now publicly on display in a dedicated gallery located on the lower level of Alcuin Library on the Saint John’s University Campus. 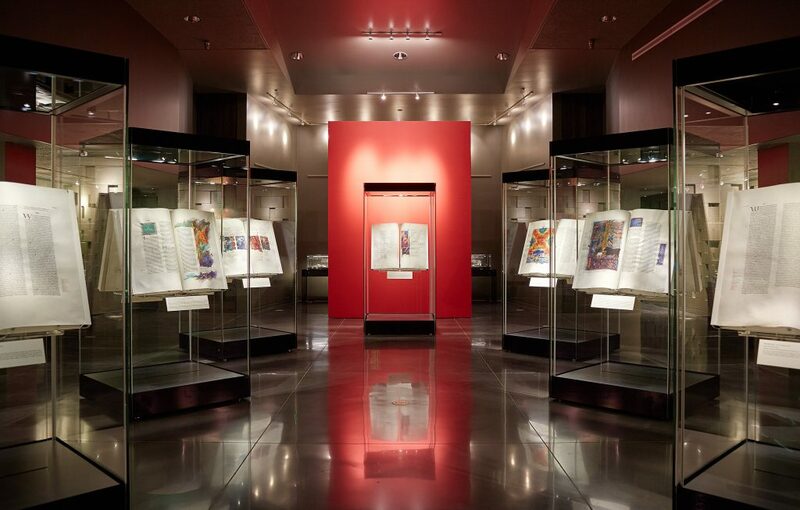 The gallery has free admission and features 28 original folios showcasing works from all seven volumes of the Bible. There are also other rare books and manuscripts from the Hill Museum & Manuscript Library collections on display to complement the exhibition of the folios. 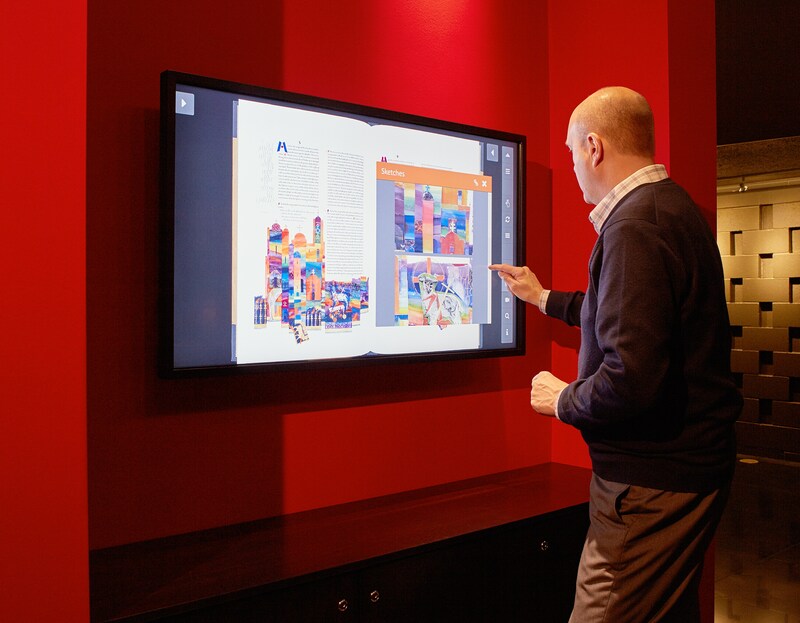 Tools, materials and sketches used in the production of The Saint John’s Bible give an insight in to the processes used to create this colossal work of faith and art, as well as an interactive video player, created by Armadillo, which allows you to meet the team behind the project. Find out more about our work on The Saint John’s Bible project here.